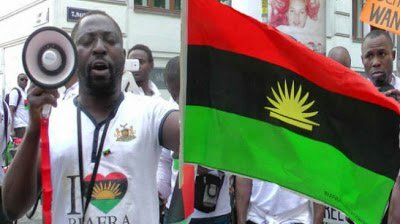 The Ezendigbo of Oyo State, Dr. Alex Anozie has stated that the proscription of the activities of the Indigenous People of Biafra (IPOB) was a right step in the right direction. He also said the South-East governors and the Ohanaeze Ndigbo had taken a wise decision to save the region from another war. Anozie said it would be unwise for Igbos to go into another war, having lost millions of their people in the 1967 – 1970 civil war. The Ndigbo leader told newsmen in his Ibadan office, that Igbo regretted the civil war fought in the past, adding that the region could not afford to go into another war. “It is a wise decision taken by the leadership of Ohanaeze Ndigbo and South East governors. This will douse the tension in the country. “We don’t want war again in Nigeria. We have fought war before and lost millions of lives and property worth billions. We don’t want such a thing in this country again. “I’ll advise our people to take it easy and continue to appeal to the Federal Government to listen to us so that our agitation won’t aggravate another crisis again. Igbos are the most committed group to the Nigeria Project,” he said.